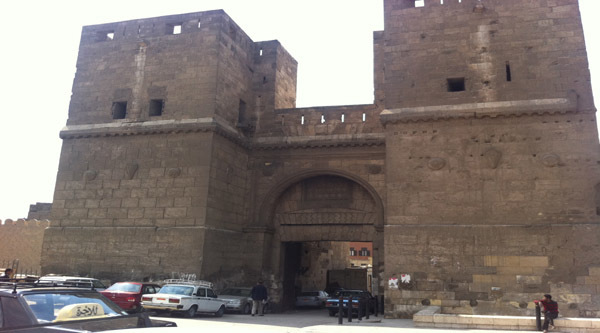 The southern gate of Cairo is called Bab Zuweila but it is also known as Bab al-Mitwalli. 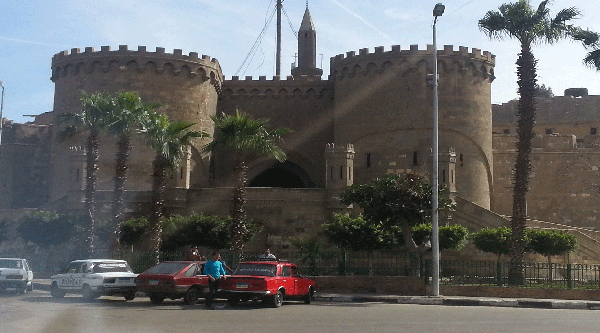 This is the only Cairo gate that can be visited and explored from inside while touring Historic Cairo. General view of the gate. Stairs inside the minaret of the gate. 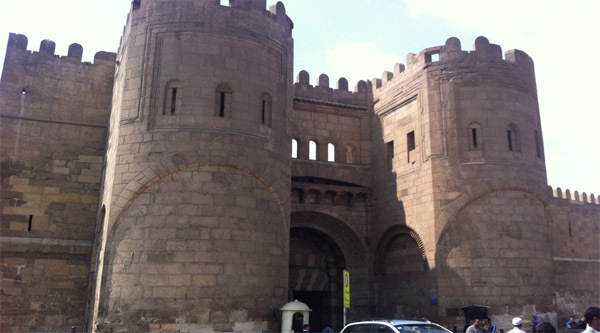 Built between 1091-92, this is one of three remaining gates of Fatimid Cairo. It was named after members of the Fatimid army who hailed from a North African Berber tribe called the Zuwayli. 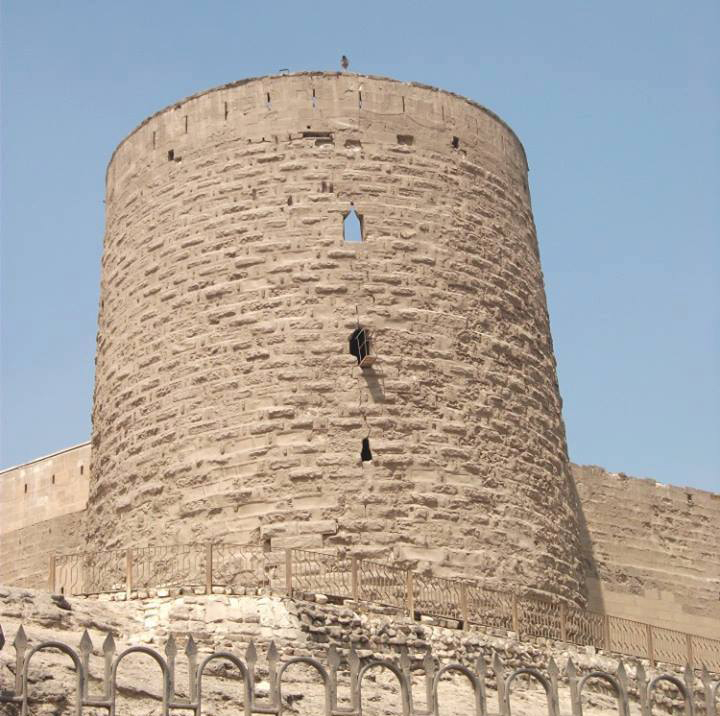 Bab Zuwayla marks the southern end of the Fatimid city, as Bab al-Futuh marks the north and is also known as Bab al-Mitwalli. The gate features a pair of minaret-topped semicircular towers. Notice the lobed-arch decoration on the inner flanks of the towers in the entrance. These arches were used earlier in North African architecture and were introduced here following the Fatimid conquest of Egypt. They are seen in later Fatimid and Mamluk buildings. As you pass through the massive doorway, take into account that the street level has risen to such an extent that what you see as you walk would have been at eye level for a traveler entering the city on a camel. According to the great architectural historian K.A.C. Creswell, the loggia between the two towers on the outside of the wall once housed an orchestra that announced royal comings and goings. 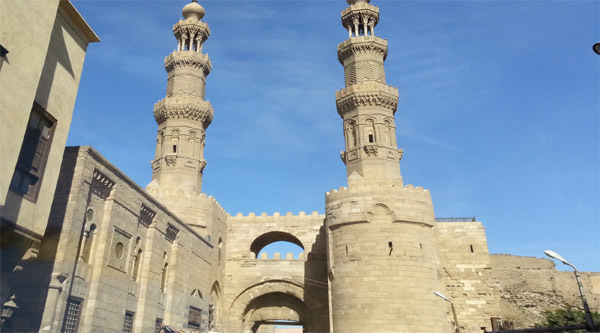 Bab Zuwaila supports two of the finest Mamluk minarets in Cairo (1420), which serve the mosque of Sultan Mu’ayyad located next door. 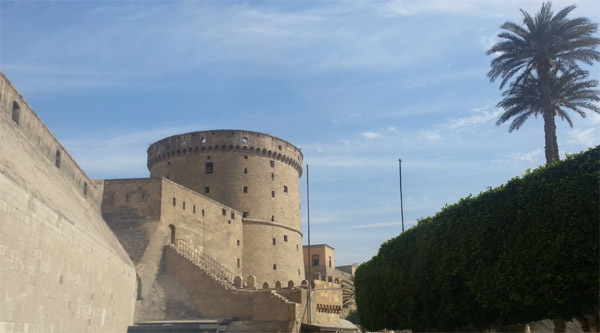 Like the other gates, its towers are built to two-thirds of their height with solid masonry, and the smooth stonework of the curved façades is relieved only by arrow slits and a moulding which defines a shallow vertical panel crowned with a pointed arch. The inside flanks of the towers contain recessed panels with lobed arches in the Moorish style – the earliest examples of this type in Cairo. 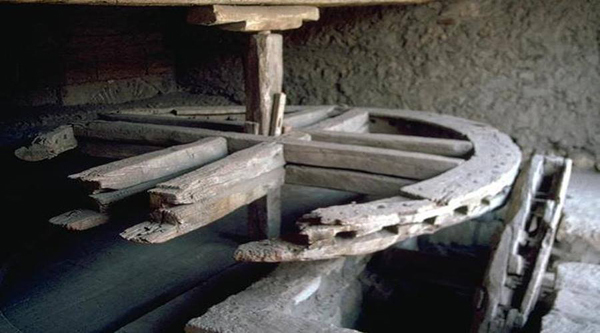 Between the two towers is a semi-circular gate supporting a gallery, and above this a connecting open semi-circular arch that forms a thick-set barrel-vault. It is thought that the gallery once accommodated musicians who accompanied ceremonial processions as they passed through the gate. The vestibule inside the gate was originally flanked by two semi-circular niches but the one on the east was altered by Mu’ayyad. The whole interior space is covered with a shallow dome set on pendentives in the Byzantine style. However, Bab Zuwayla wasn't always such a lighthearted spot. It was here that public hangings and beheadings took place. 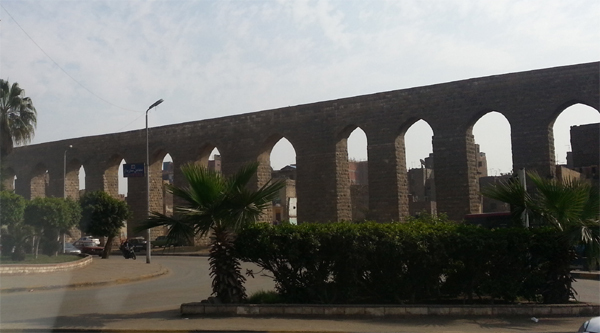 The conquering Turks hanged the last independent Mamluk sultan, Tumanbay II, from this gate in 1517. The full beauty of the honey-colored limestone of the gate and the minarets is once more revealed, thanks to a careful restoration and cleaning in 2001. As part of these restorations the massive doors of the gate were removed and cleaned. Each leaf weights three and half tons. The lower parts were buried in the street which is now almost two meters higher than it was when the doors were originally installed. Hundreds of medieval amulets buried in the impacted debris were uncovered, as well as the lintel, a Pharaonic panel from the Temple of On in Heliopolis.